Every mother wants to give their child the best and turn their childhood into a fairy tale as much as possible. Even if the family is not very wealthy. And even if there is not family at all. Mums, who no matter what make children happy, are our heroines! 21-year-old student Alexis Smith and her daughter Nova live in a small Texas town, Murphy. The family lives in their home, where a woman has identified her daughter's personal space. According to Nova, she combines study with work, so she can not afford to pamper a girl. When she is at school or work, her mother is sitting with a baby. 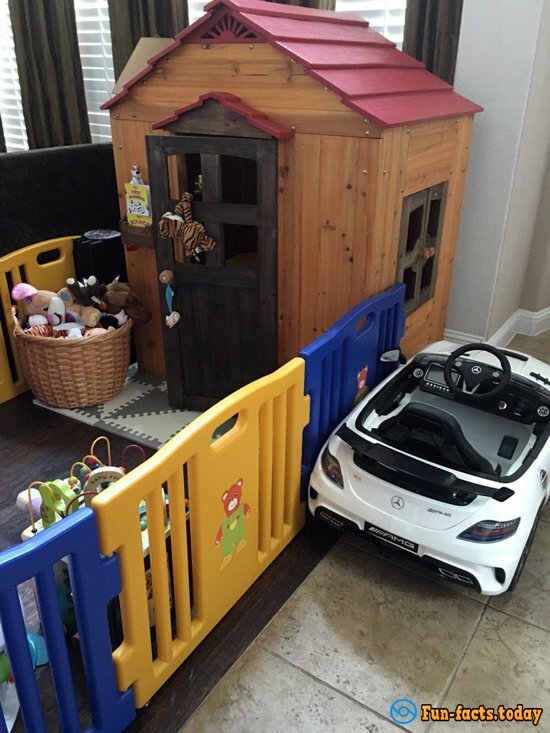 "I often buy toys online and somehow came across a children's toy house on Amazon, - says Alexis. - Before that grandmother presented Nova children's car and a tiny kitchen - and in my head clicked: What if to do for her something like her house? ". "She likes to have her space and to play at his house. She even cleans it - at least, she tries to put the toys in one place - continues the proud mum. - After playing, she tours her possessions in the car, and then closes the house and goes to lunch with us. " 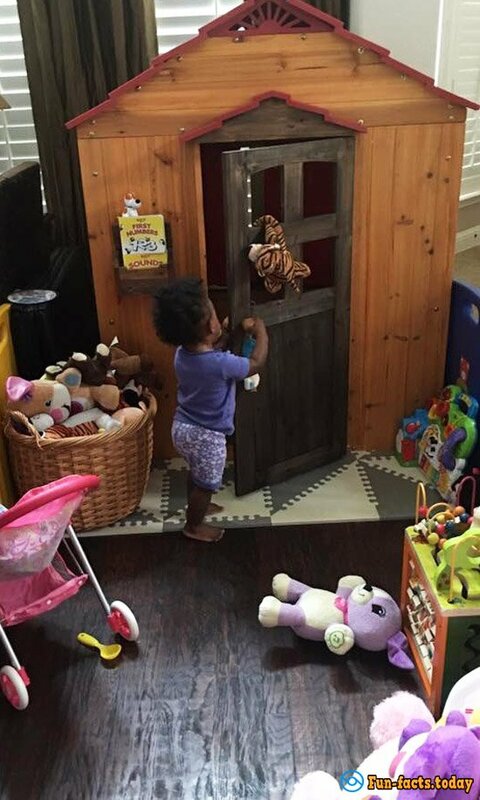 Last week, Alexis posted a picture of her daughter, which was closing the front door, on Twitter and has provided it with a comment, "My daughter lives better than I do!". The photo instantly has got thousands of likes and traveled around the entire Internet. The original method of training! But at least, Nova will always remember his childhood as the happiest.